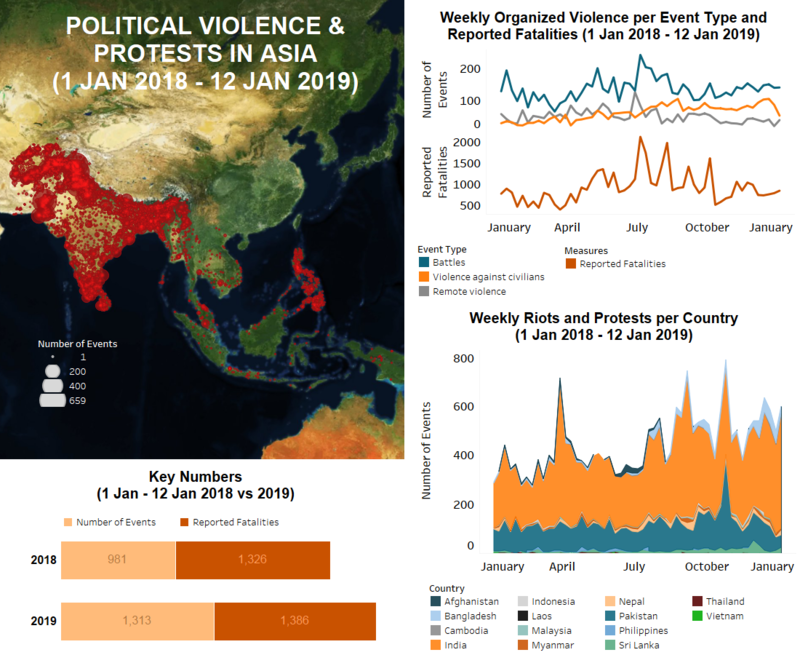 Last week in South and Southeast Asia, reported fatalities from political violence increased slightly, while instances of targeted civilian violence sharply declined as part of a visible trend since the last week of December 2018. 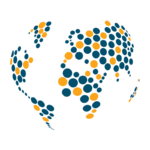 Key developments included ongoing militant violence in Pakistan and Afghanistan, a significant eruption of labour demonstrations in India and Bangladesh, as well as demonstrations in Thailand over a likely delay in the upcoming February elections. In Afghanistan last week, fighting continued between multiple armed groups and Afghan/NATO forces throughout the country. While there were some reports of Afghan/NATO ground and air operations against Islamic State (IS) positions in Nangarhar and Kunar provinces, no attacks were claimed by the group. Instead, the majority of fighting was attributed to Taliban militants, who were most active in the provinces of Faryab, Helmand, Kandahar, and Urozgan. There were a number of high fatality clashes reported throughout the week, including a week-long battle between Taliban and IS fighters in the Mano Gai area of Dara-I-Pech district, Kunar province. Meanwhile, peace talks between a U.S. representative, the Taliban, and other international diplomats have stalled despite seemingly positive results in December 2018. While the content of the talks has been kept fairly secret, it seems that the American desire to maintain permanent bases in the country may be an area of major contention (Economic Times, 14 January 2019). In Pakistan, the number of reported fatalities decreased during the second week of January while the overall number of events increased slightly compared to the previous week. Unidentified armed groups launched several attacks across the country. In Khyber Pakhtunkhwa province, a land protection official and a senior lawyer of the high court in Peshawar were reportedly fatally shot. In Punjab province, a police official was shot dead at his residence. Additionally, on 9 January, a Pakistan Tehreek-i-Insaf (PTI) leader succumbed to his injuries following an attack on his life by unidentified assailants on 2 January. A series of bomb explosions reportedly left 12 people, including four security personnel, injured in Balochistan province as well as two police officers in Khyber Pakhtunkhwa province. Intelligence-based operations by Frontier Corps personnel on suspected militant hideouts in Balochistan province also resulted in the reported death of two militants. Meanwhile, in Karachi’s Jamshed town, members of Sunni religious groups Sunni Tehreek and Tehreek-e-Labbaik Pakistan exchanged fire with members of the Sunni revivalist Deobandi group over the possession of a mosque — reportedly leaving one person dead and several others injured. Throughout the week, traders and shopkeepers from several markets in Karachi protested the Karachi Metropolitan Corporation’s anti-encroachment operations against illegal structures on drains, pavements, and state land (Dawn, 10 January 2019). Elsewhere in Pakistan, farmers in Punjab province protested demanding financial assistance and an increment in the price of potatoes. In the contested Kashmir region, 14 incidents of cross-border shelling and firing between Indian and Pakistani forces resulted in the reported death of two Pakistani civilians and an Indian Army porter. In India, militants continued to clash with state forces in Jammu & Kashmir resulting in three reported deaths. A Jaish-e-Mohammad militant was killed in an attack on a Rashtriya Rifles patrol party in Choudhari, while two militants were killed during a search operation in Kathpora. Two Indian soldiers were also killed in IED explosions along the Line of Control (LoC). Elsewhere last week, Maoist rebels launched several attacks against civilians and two armed clashes between security forces and rebel groups in the northeastern states of Arunachal Pradesh and Assam were reported. The number of reported demonstrations increased significantly in India last week. There was significant protest activity throughout the nation, in alignment with the all India general strike called by trade unions. On 8 and 9 January, members of Centre of Indian Trade Unions (CITU), Indian National Trade Union Congress (INTUC), All India Trade Union Congress (AITUC), and other trade unions staged demonstrations as part of a two-day strike against what they deem to be anti-labor policies of the central and state governments. In Punjab and Haryana, most demonstrations were staged by transport workers and bank unions, protesting against specific government legislation or action. In Delhi, protests focused more on workplace safety and rights while protesters in West Bengal, Bihar, Odisha, and the northeastern states demanded higher wages and other labour reforms. The number of reported demonstrations particularly increased in Northeast India where several organizations called another general strike and staged protests against the Citizenship (Amendment) Bill 2016. The bill, which has been approved by India’s lower house of parliament, would grant residency and citizenship rights to non-Muslim immigrants. Opponents of the bill mainly criticize that legitimizing undocumented immigrants from Bangladesh will threaten indigenous communities (Al Jazeera, 8 January 2019). In Bangladesh, intra-party violence between different factions of the Awami League (AL) was reported, following the 30 December landslide election victory of the AL. Allegations over the collection of extortion money by activists with connections to AL also led to several episodes of violence last week. In addition, workers of ready-made garment (RMG) factories staged violent demonstrations in the wider Dhaka area for several consecutive days last week, demanding higher wages. Clashes between rioting workers and police forces reportedly left at least one person dead and dozens injured. In Nepal, a violent attack motivated by caste discrimination left an individual hospitalized in Kalikot city. In addition, the overall number of reported protest events significantly increased compared to previous weeks. Doctors staged demonstrations across the country to express their dissatisfaction with the newly enforced Civil Servants Integration Law, which they claimed to be discriminatory towards tenured government doctors. Hundreds of health assistants too took to the streets to oppose a provision by the Ministry of Health and Population allowing auxiliary health workers to head health posts. In Sri Lanka, similar to other South Asian countries, an increasing number of reported demonstration events were recorded last week. Supporters of former President Mahinda Rajapaksa staged several protests during the launch of new railway stations initiated by Rajapaksa’s administration. In Colombo, Kandy, Badulla, and Matara, protesters demanded the abolition of the executive presidency, which many believe concentrates excessive power in a single office (Daily FT, 14 January 2019). Meanwhile, members of the Tamil community took to the streets to oppose the appointment of the province’s new governor, who they accuse of being anti-Tamil and involved in land grabbing incidents. Across the Philippines, 14 drug suspects were reportedly killed in police raids last week. The military also clashed with the Maute Group and with the New People’s Army (NPA). Further, a village councilman believed to be active in the ‘War against Drugs’ was shot and killed by unidentified assailants in South Cotabato province, reflecting the political violence faced by elected officials in the Philippines. With midterm elections scheduled for May, 18 areas have been placed on a watchlist out of concern that violence will increase (Rappler, 4 January 2019). Separatist violence continued in Thailand last week. In Songkhla province, a retired teacher was reportedly killed. In Pattani province, suspected separatists reportedly killed four defense volunteers at Bukoh school. Two days later, a deadly battle occurred between the same separatists and the police and Thai rangers, reportedly leading to two separatist deaths. Meanwhile, given the likely delay of the general election which had been scheduled for February 2019, demonstrations took place in Bangkok, Chiang Mai, and Nakhon Ratchasima calling for an end to further election delays. Such demonstrations are likely to increase should the military continue to put off the elections (The Guardian, 14 January 2019). In Indonesia, on 9 January, in Puncak Jaya, Papua, the Indonesian military engaged in a gun battle with Papuan separatists believed to be West Papua National Liberation Army (TPNPB). One separatist was reportedly killed and one soldier was injured. In Myanmar, clashes between the Myanmar military and Arakan Army (AA) decreased last week. However, on 7 January, the government announced it would “crush” the AA and warned locals against supporting the group (Radio Free Asia, 7 January 2019), raising the possibility of continued clashes in Rakhine state. Meanwhile, a two-week protest by workers of the Chinese-owned Cixing Knitting factory ended on 8 January after workers reached an agreement with the company regarding dismissed workers. Labour protests also took place in Cambodia last week. In Phnom Penh, 1,200 garment workers from W&D factory protested, calling for better labour conditions. In Svay Rieng province, in the GIGA special economic zone, around 500 workers from Bai Hong factory protested the sacking of workers who planned to establish a trade union. As well, a land dispute led to a violent confrontation between the two sides of the dispute in Sihanoukville. A dispute over land was also the source of conflict in Vietnam. In Ho Chi Minh City, the government demolished nearly 112 houses on land claimed by the Catholic Church. The residents of the houses were political dissidents and veterans of the former South Vietnam army. In Malaysia, a former People’s Justice Party youth candidate was reportedly stabbed and killed by three men with a machete.